This was sort of a precursor to the Video Game Boss Battles I had done for Inktober. The year before I had been messing around drawing on sketchcards - Some were okay, most were crap. Sketchcards and Copics seem to be the big thing in the Instagram art world and I wanted to fit in. Needless to say I went back to digital art pretty quickly, but not before cranking out a few items that I could say I was proud of. 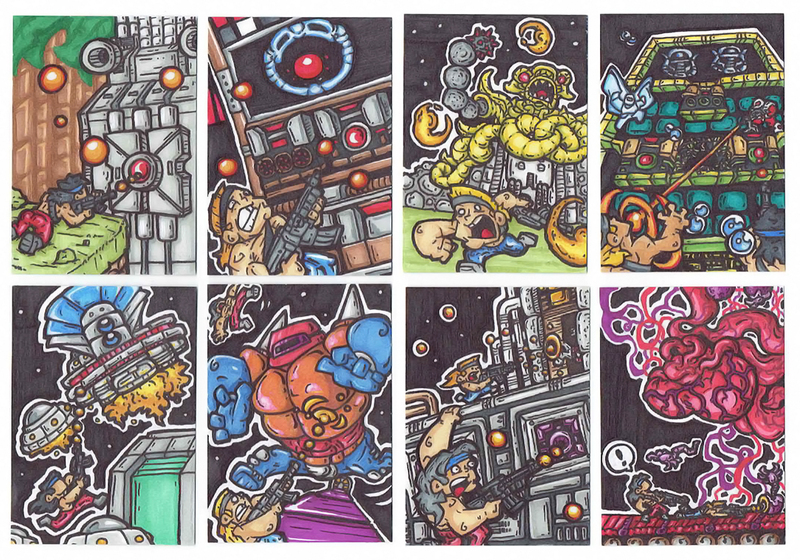 Similar to the boss battle cards, these specifically focused on one of my all-time favorite NES games: CONTRA.